This project will create a 7,900 gross square foot below grade addition to Medical Science Unit I. The facility will have one floor and will consist of approximately 5,500 net square feet of space. This addition will house the cyclotron and radio-chemistry laboratories, as well as support and office space for the Medical School. Although the addition is underground, the east elevation is exposed. The design for the exposed portion of the addition is illustrated here. 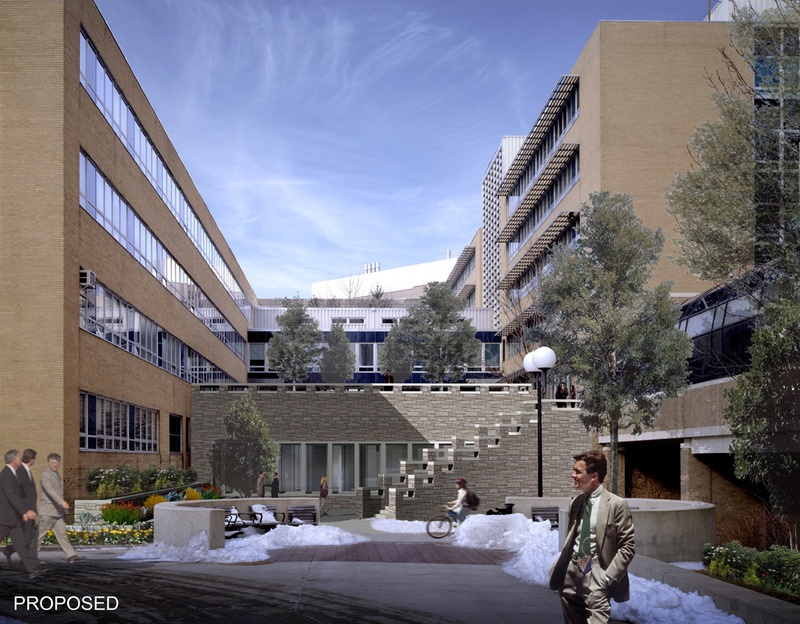 Construction is scheduled to begin in Winter 2003 and be completed in Winter 2005.